In this article, we will learn about the two options of deploying/sharing your decision tree. Untick “Preview” and copy the URL, which can then be shared with your leads. Untick “Preview” and copy the code. This code can be pasted into your website. 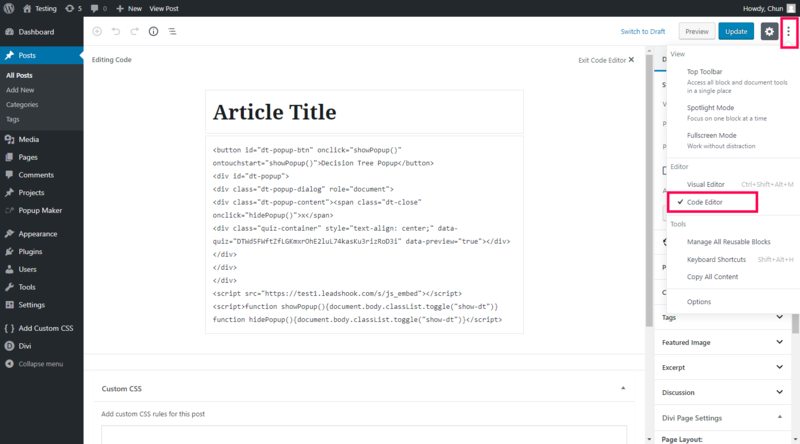 For instance, on WordPress, create a new post, switch to “Code Editor” view, then paste the code.